With its large size and diversity, Texas locals say, "Texas, it's like a whole other country." 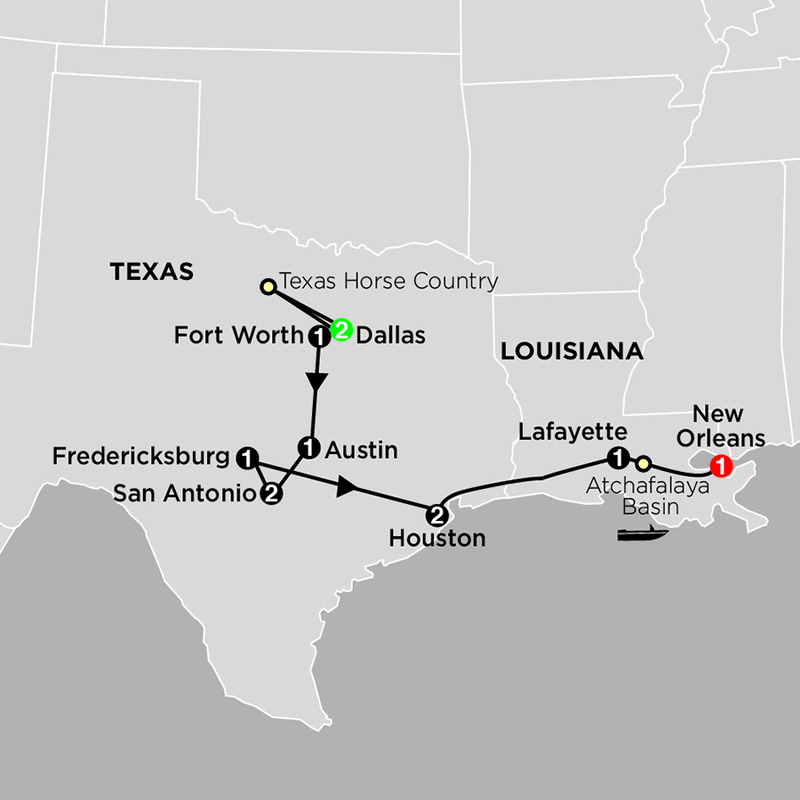 On this tour through the Lone Star State, you'll discover its major cities-Dallas, Austin, San Antonio, and Houston-and some of its historic landmarks, museums, and must-see sights before crossing into Louisiana for time in Lafayette and New Orleans. Highlights of this Texas tour include a behind-the-scenes tram tour of the Johnson Space Center, home to NASA and the U.S. Space Program. Witness engineers, scientists, and astronauts as they shape the future of space exploration, and visit the Historic Apollo Mission Control, where the NASA team monitored nine Gemini and all Apollo missions. The San Fernando Cathedral, the oldest cathedral in the United States. Take a private, narrated cruise down the San Antonio River through the picturesque River Walk area and enjoy a cruise through Louisiana's Atchafalaya Basin. In Fredericksburg, stroll the historic district shopping, pursuing one-of-a-kind, eclectic shops, art galleries, and museums. History buffs will be fascinated at the Sixth Floor Museum, the location from which Lee Harvey Oswald allegedly shot President John F. Kennedy. At the Lyndon B. Johnson National Historic Park and Texas White House, hear the story of Johnson's life. 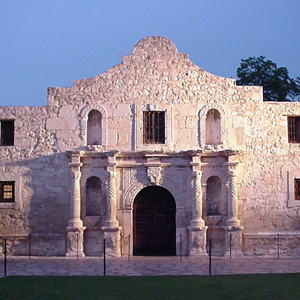 Also visit the Bob Bullock State History Museum that tells the "Story of Texas." In North Texas Horse Country, visit a real working horse ranch with a knowledgeable local guide for a true authentic experience. Of course, no history buff can leave Texas without visiting the Alamo. All of this and much more await you on this Texas tour. For the value-minded traveler, there's no better way to visit the Lone Star State! $1,979.00 Includes intra-vacat... Book Now!